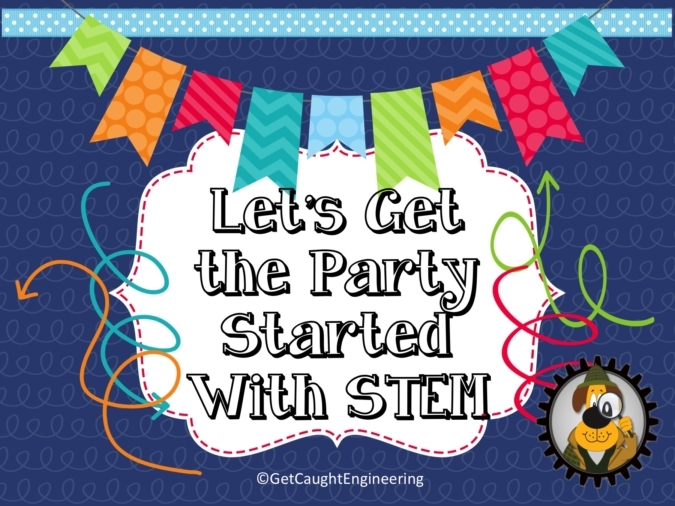 Blog Let's Get the Party Started With STEM and Engineering! The school year is in full swing – all of the beginning of the year activities such as Back to School Nights and initial parent conferences are finished. As you look ahead, what do you see looming in the future? Holidays and specials occasions are on the calendar to celebrate. And that means classroom parties! And we think STEM activities can add fun elements to the festivities! Celebrating holidays with a classroom party is a tradition in most elementary schools. In our school we were limited to two parties a year plus a year end celebration. Several years ago we transitioned our events into STEM extravaganzas that emphasized problem solving and collaboration with a holiday theme. Our room parents loved this change because instead of frosting cupcakes at midnight, they were just asked to donate a few simple materials that were easily picked up at the grocery store. We love it, the kids love it and the parents love it . And when the principal peeks in the room on party day, she or he sees a whole lot of exciting science and engineering happening. So the administration loves it too! 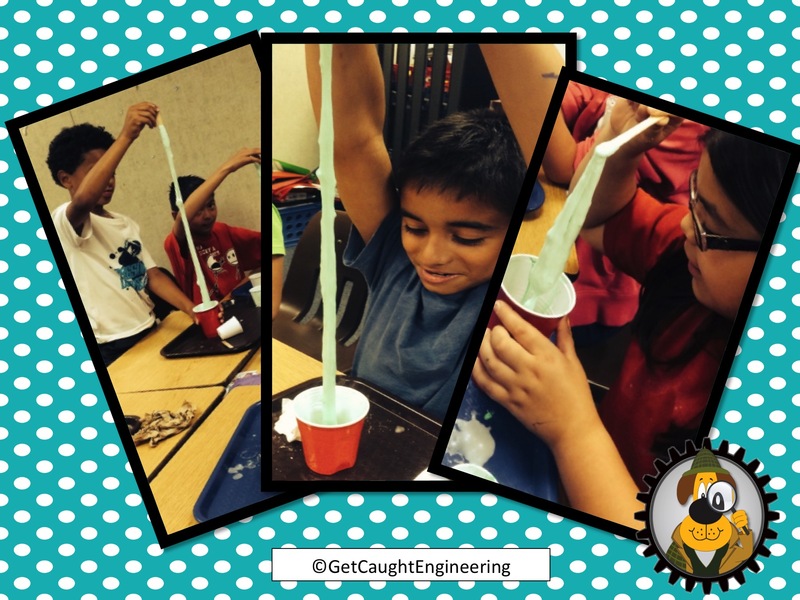 Our STEM parties revolve around a few activities that we pick and choose. We tend to use similar activities that allow adaptation to fit the occasion. 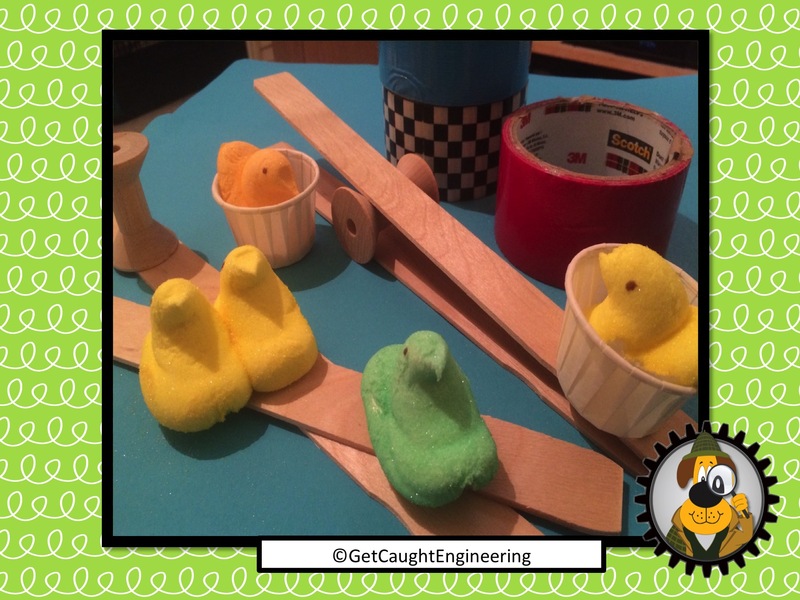 For example, students can build catapults to throw candy pumpkins, heart shaped candies or marshmallow chicks. 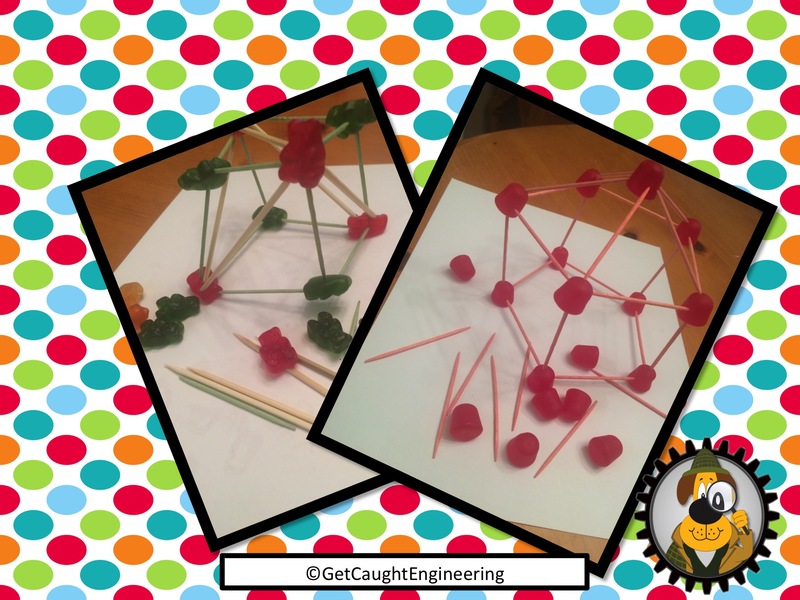 Likewise building a gumdrop structure can be accomplished with red gumdrops for Valentines Day, all green for St. Patrick’s Day or orange and black for Halloween. 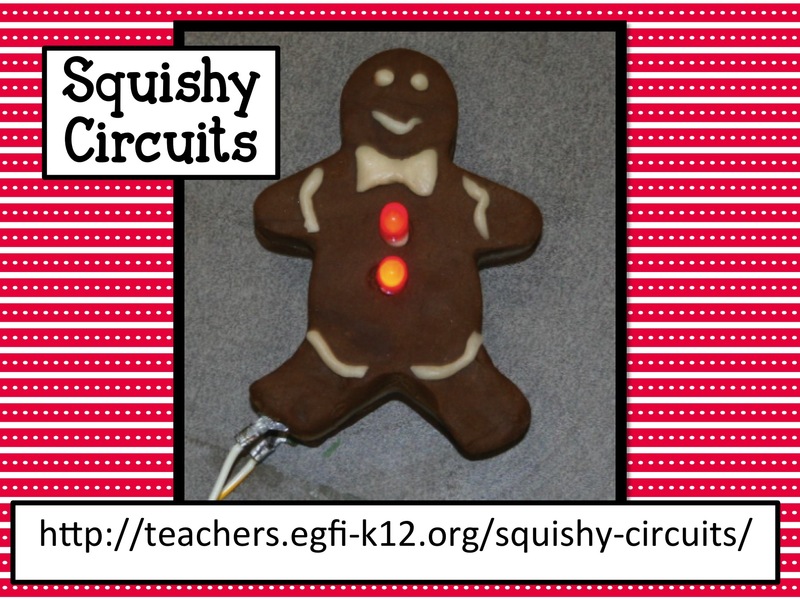 Food coloring is the magic ingredient for switching holiday slime or squishy circuits. 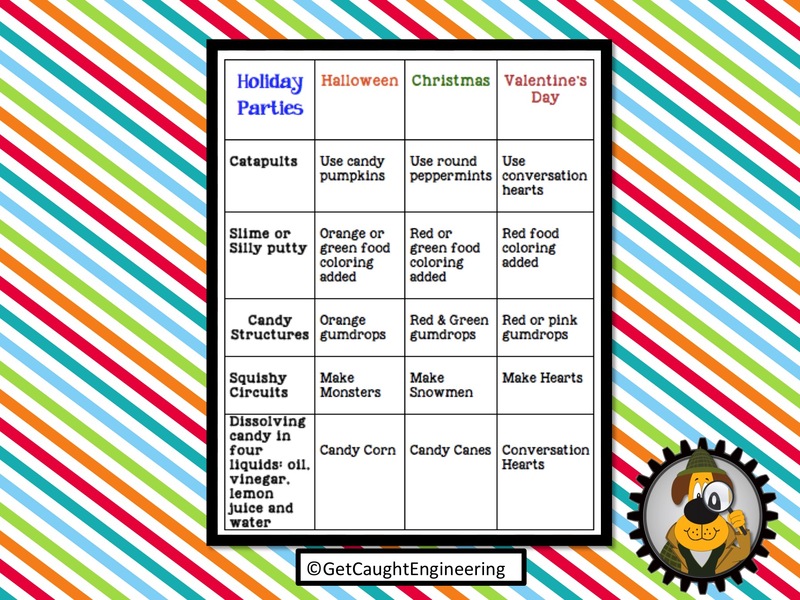 Various brightly colored holiday candies can be used to do dissolving experiments. Engineering a valentine box for February. We also simplified holiday snacks by encouraging fruit, pretzels and juice boxes or water. This supported efforts by the school to decrease the amount of sweets consumed in the classroom in order to help fight the national childhood obesity problem. Of course, we still have fancier treats show up at times, but truthfully the kids are far more interested in the STEM activities than the food. Instead of goodie bags, the kids are thrilled to receive a page of science recipes that they can make at home. At the end of the day students are given a manila envelope containing the recipes and quietly decorate it as they wait for dismissal. Our holiday parties end with a calm but happy group of children. 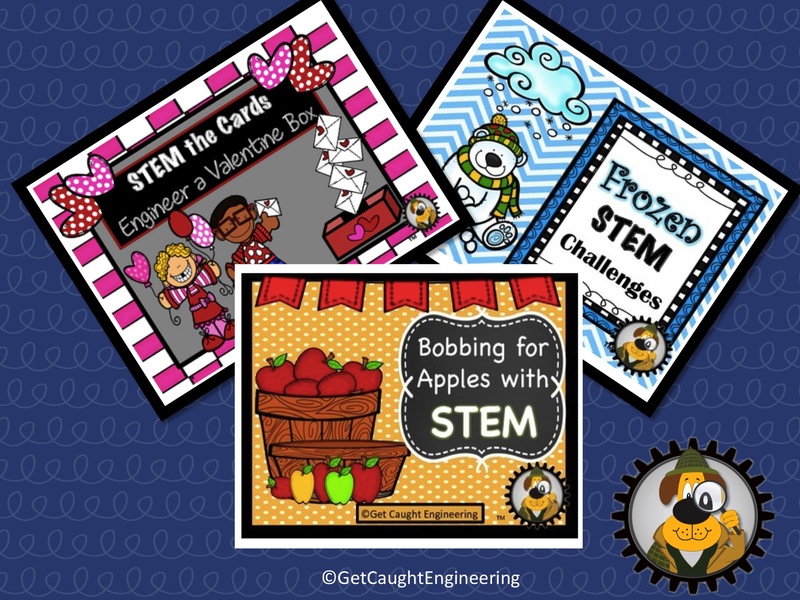 Whether you do holiday parties, or just want a special celebration “just because”, incorporating STEM will provide a fun and successful learning experience for your students that they will long remember. We get letters from kids we had long ago who say our STEM parties are some of their favorite memories from elementary school. 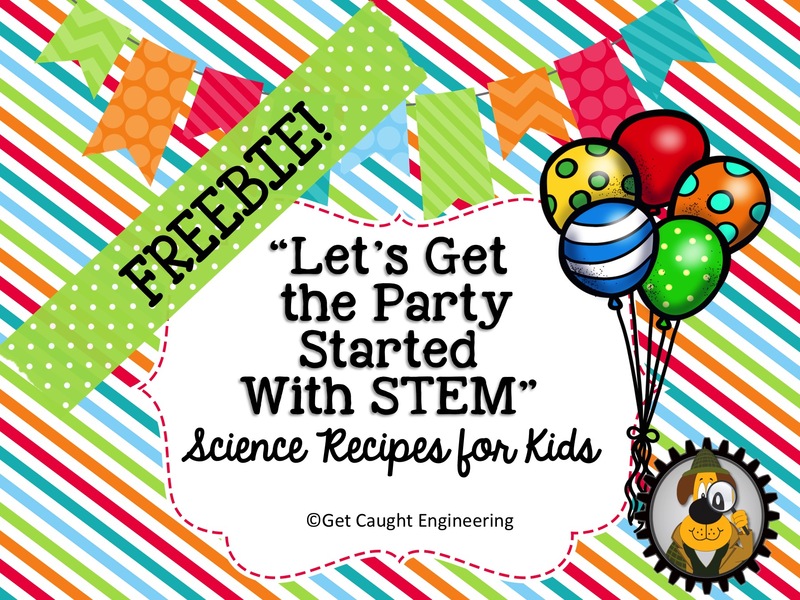 We hope you and your kiddos “Get Caught Engineering” at a party.